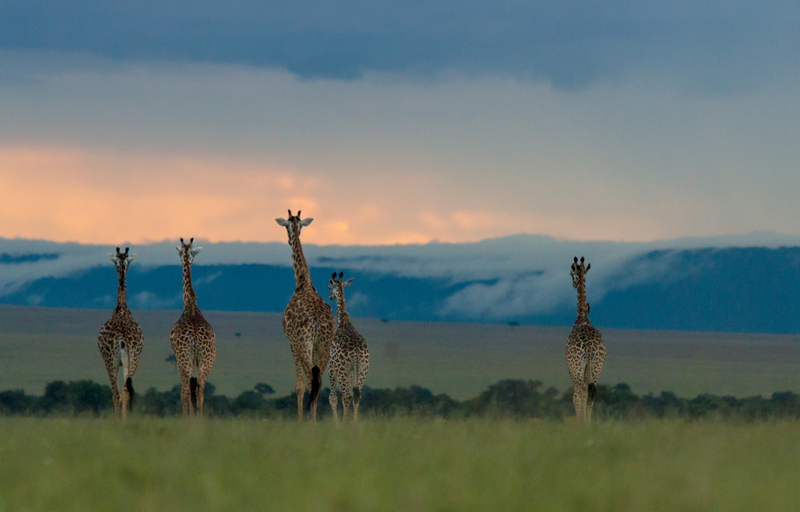 “Maisha Mairefu,” Swahili for “here’s to a long life,’ says Sentewo, Mara Plains Guide. 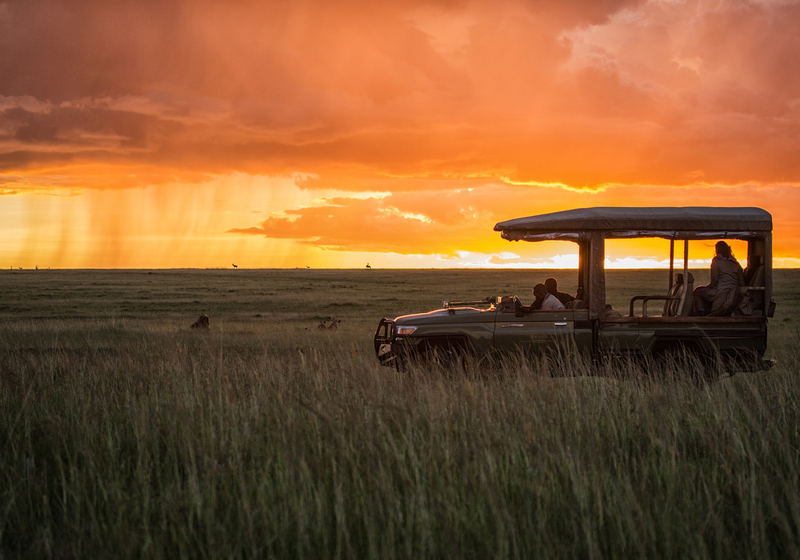 “Your day is done; relax and close your eyes while the Masai Mara beckons you to return again at first light”. Imagine a camp located in the epicentre of some of Africa’s greatest predator country… Welcome to Mara Plains Camp, this month’s property of the month. Located on the northern border of the Masai Mara Game Reserve, the enchanting camp is positioned on a bend of the Ntiakitiak River in a secluded private conservancy. Enter a mythical world via a wooden footbridge over a river, accentuating the seclusion and intimacy of this elegant property. The tents – tucked away amongst lush vegetation – reference Arica’s rich heritage with chunky wooden doors from the Swahili enclave; deep red and purple shades that honour the spirit of the Maasai; and rich leather, copper and brass embellishments taking you back to the colonial explorers. It is one of the smallest and most personal camps in the Mara region – and just one of three operating within the Conservancy. This region has the lowest vehicle density and accommodates one guest room per 700 acres. In amongst whistling thorns, white thorns, fever trees and wild olives the great plains of Kenya are home to many of Africa’s most majestic animals. The red grass savannahs, interminable vistas and distinct horizons combine to ensure the epitome of a breathtaking African panorama. 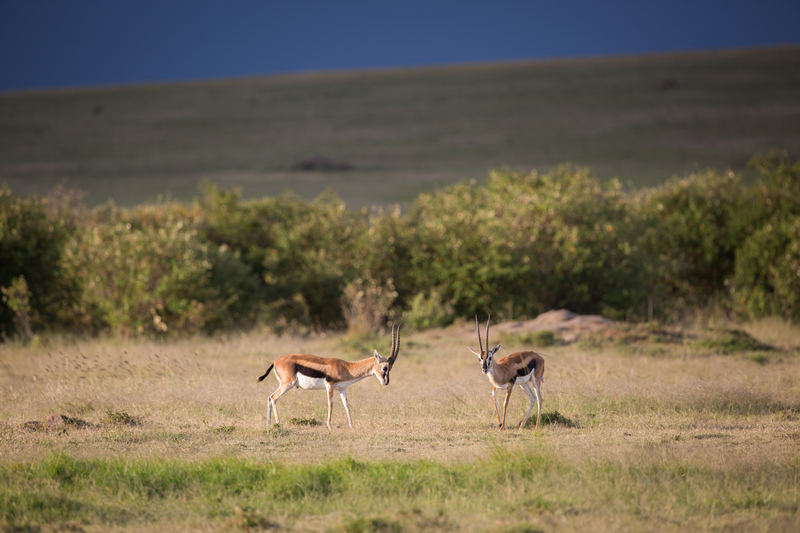 The density and variety of wildlife is astounding and the area boasts much of the unique Kenyan plains game such as the graceful Thompsons, Grant’s gazelle and the colourful Topis, it’s a predator’s paradise. Everything in absolute abundance. “The rooms are what set Mara Plains apart, they are more spacious and more magnificent than any other camp I’ve ever been to.” says Jess, Camp Manager. Tucked into the river bend, in amongst hippo, monkeys and a plethora of birds sit the seven elegant suites. Each one is more like a home than a suite and is exquisitely designed to give you complete privacy, an unbeatable view, and your very own paradise of African bushveld. The wooden floors, neutral palette, draped canvas and natural fabrics are discreet allowing the beauty of the outside world to envelop you, even once inside. The gentle breeze wafts through the sides, the sounds of Africa entertain you and your nostrils are filled with the freshness of the lush riverine woodland and endless savannahs. Elaborate furnishings, leather finishes, Persian carpets, deep reds and a delightful mixture of wood and copper combine to marry the Arab and Maasai influences, characteristic of Ancient Swahili heritage. Game drives at Mara Plains are action-packed. There is an awe-inspiring landscape, the notorious Big Five, magnitudes of plains game and so much more to investigate that your erudite and affable guide will not only proudly show you, but also teach you about. End off your day sitting with an iced cold G and T in hand, watching a pride of lion, as the sun descends below the horizon, the light fades and gives way to an endless starry night. For more on this exquisite property click here.